How Challenging Is It to Travel in France? Before you begin working your way to foreign language fluency, it helps to understand the culture behind the language you’re learning. After all, language exists to help a group of people express their ideas and beliefs. France is an old country with a rich history and culture. As you begin your French language program, gaining a strong grasp on this history, the values, and the etiquette will help you rapidly achieve success. In particular, it’s helpful to know how to get around in France if you’re ever planning on visiting asFrench public transportation, while efficient, can be challenging to figure out at first. Many travelers in France use the train system, called the Société Nationale des Chemins de Fer (National Railway Company) or SNCF. 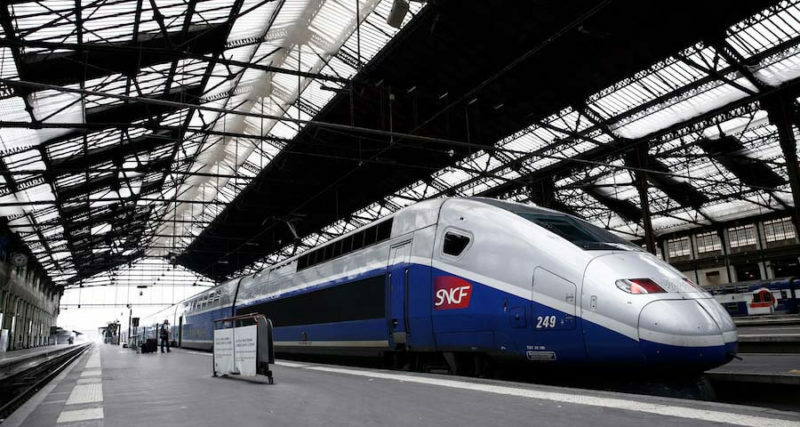 The SNCF is an efficient system, with clean trains and comfortable seats. Most trains have a special family carriage where children can play loudly, and in summer, live entertainment may be provided at no extra charge. A carriage can become a cinema, an exhibition hall, or a showcase of regional specialties. You can book tickets in advance through the Internet at www.oui.sncf and at the stations. Before boarding a train, you must validate your ticket by pushing it into a small machine that punches a hole and stamps the date. There are frequently ticket inspectors on trains, keep your ticket on you to avoid an instant fine. The TGV (“train à grande vitesse”) system offers high-speed links from Paris to many regional capitals. Tickets for these must be booked in advance and all seats are pre-allocated. There are two classes in TGV: first (three seats in the width of the wagon) and second (four seats). One of the easiest ways of getting to Paris from London is by Eurostar. Eurostar takes you from Central London’s St. Pancras International Station to the Gare du Nord in Paris in about two and a half hours. Trains also go to Brussels in Belgium and some stop at Lille. The service is fast and reasonably comfortable with proficient bilingual customer service. Three levels of pricing are available: standard (tourist), standard premier (upgrade with a small meal), and full Business Premier (Club Class). The easiest way of getting around Paris is “le Métro” (“the Metro” or subway system). Metro stations are identified by street signs displaying a large “M.” One ticket is good for any one-way journey, no matter the length. You can use your Metro ticket on the Metro, on buses, and on the RER within the city limits. To avoid lines at “guichets” (ticket offices), you can buy your Metro tickets in a “carnet” of ten tickets. If you are traveling to Paris from the UK by Eurostar, you can also buy Metro tickets at the exchange bureau in the departure lounge. Newsagents and “cafés-tabacs” also stock them. Most stations have automatic ticket machines, called “Rechargenent Navigo,” with instructions in English. You can pay for your tickets by card or cash. Each line is identified by its number, which is white or black on a colored circle. Signage will indicate the line’s direction by giving the name of its final stop. If you have to change lines, follow the sign saying “correspondance” (change) and head for the new platform. If you are staying in Paris, it may be better to get a weekly “Passe Navigo.” You need a passport sized photo and can buy one at any Metro station in Paris. You can use your “Passe Navigo” on buses, on Metros, and the RER. Passes Navigo can be used in all “Île-de-France” —to go to Fontainebleau, Versailles, or as far as Provins. Some visitors refuse to go by Metro, preferring to see the sights as they travel. You can buy a bus route guide that shows clearly which bus goes where, and where you need to change buses. To validate your ticket, board the bus and have your ticket punched by a machine in the front or the middle of the coach. Be aware that politely standing in line for the bus is not a French virtue. Once again, you can use Metro tickets on the buses. Line 72, which goes from the Hotel de Ville (Town Hall) and takes in the Eiffel Tower, is a particularly good sightseeing route. Many tour companies also offer on-off sightseeing tours, which allow you to get off for several minutes to take photos or sample local restaurants. This is a great way to learn about Paris and meet some fellow travelers. The RER is the Paris suburban train system. Partly underground and partly above ground, it is the best way of getting to Disneyland from Charles de Gaulle airport or the center of Paris. It takes about 40 minutes by train from downtown Paris on RER Line A to Marne-la-Vallée-Chessy. Visit www.transilien.fr to find the best travel route by SNCF (national railway) trains. Once on the platform, you will see a timetable on the wall. Trains are identified on the front by strange names such as NEMO or TALE. There is also a signboard on the platform showing which stations are “desservies” (served) by the train.